UNITED NATIONS (AP) — Tens of thousands of North Koreans are being sent to work abroad in conditions that amount to forced labor to circumvent U.N. sanctions and earn foreign currency for the country, amounting to between $1.2 billion and $2.3 billion annually by one estimate, a U.N. investigator said Wednesday. Darusman said more than 50,000 North Korean workers are currently employed in foreign countries, mainly in the mining, logging, textile and construction industries, according to various studies — and he said the number is rising. The vast majority are working in China and Russia, he said, but they are reportedly also employed elsewhere in Asia, Africa, the Mideast and Europe. He listed Algeria, Angola, Cambodia, Equatorial Guinea, Ethiopia, Kuwait, Libya, Malaysia, Mongolia, Myanmar, Nigeria, Oman, Poland, Qatar and the United Arab Emirates. Darusman said civil society organizations report that workers from the reclusive Asian nation earn $120-$150 per month on average, don’t get enough food, and are sometimes forced to work up to 20 hours a day, with only one or two rest days a month and insufficient food. Employers pay “significantly higher amounts” to the North Korean government, he said. Former workers interviewed by the organizations said jobs are assigned according to the worker’s state-assigned social class with those in lower classes assigned the most dangerous and tedious tasks, he said. The ex-workers also reported being under constant surveillance by North Koreans in charge of ensuring that they comply with government rules and regulations, he said. Darusman praised a construction company in Qatar for dismissing 90 North Korean workers in May — nearly half its workforce — for alleged repeated violations of domestic labor legislation. According to the company, which was not named, supervisors were forcing them to work more than 12 hours a day, he said. Darusman cited a report by the International Network for the Human Rights of North Korean Overseas Labor in 2012 that North Korea is believed to earn between $1.2 billion and $2.3 billion annually from these workers. The U.N. investigator put the spotlight on forced labor as a human rights violation in his report that also cited summary executions, arbitrary detention, torture, massive ill-treatment of individuals in political prison camps and severe discrimination based on social class. “The near total denial of human rights in the country revolves around … instilling fear within the minds and hearts of the population,” Darusman said. He said he “remains convinced” that the Security Council should refer North Korea’s human rights situation to the International Criminal Court, to speedily bring to justice those most responsible the denial of human rights “including those at the highest level of decision-making.” Such a move, however, is likely to be vetoed by permanent council member China and perhaps Russia. 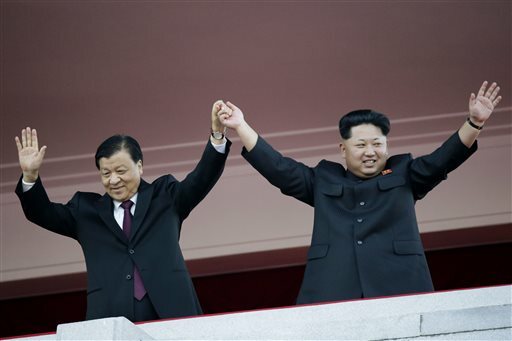 Pyongyang has tried to cultivate both over the years as rare allies. Darusman said he has met with Chinese diplomats in Geneva and New York and had good discussions on how to get North Korea to engage more with the international community. In these discussions, he said, “it did come out that their relations with North Korea are quite strained in recent times.” He added that he has been encouraged to visit China. On a possible positive note, Darusman said the economic hardships and unfortunate climate conditions in North Korea have led people to fend for themselves and gradually become less dependent on the government for their survival. “We are hearing credible reports about small businesses being established, small plots, gardening and farming activities, the beginnings of a property market, the widespread use of mobile phones, the illegal imports of South Korean pop music and videos and a host of other issues that gives an image that incremental changes are taking place in the North,” he said. Tags: Chinese, Korea, Military, United Nations. Bookmark the permalink.